Following on from the W3C TPAC 2009, held back in November, CSS3 Selectors was officially advanced to Proposed Recommendation by the W3C Director earlier this week. Although a number of CSS3 modules have now reached the Candidate Recommendation stage of development, CSS3 Selectors is the first CSS3 module to reach Proposed Recommendation. A Proposed Recommendation is a mature technical report that, after wide review for technical soundness and implementability, the W3C has sent to the W3C Advisory Committee for final endorsement. This represents the last stage of development prior to becoming an official W3C Recommendation. W3C members now have just over a month to review the specification before it becomes eligible for Recommendation status, however as CSS3 Selectors relies upon CSS2.1 and the CSS3 Namespaces Module, it cannot become an official W3C Recommendation until these specifications have first reached the Recommendation stage. You can see the changes made to the specification in the disposition of comments, however there are no major changes, just a number of improved descriptions. 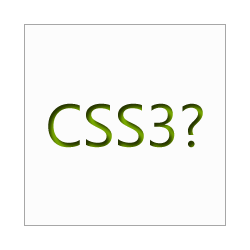 Also this week the W3C announced two new candidate recommendations for CSS3 Backgrounds and Borders and CSS3 Multicolumn Layout.